Get the most out of ground crews with aerial assistance. 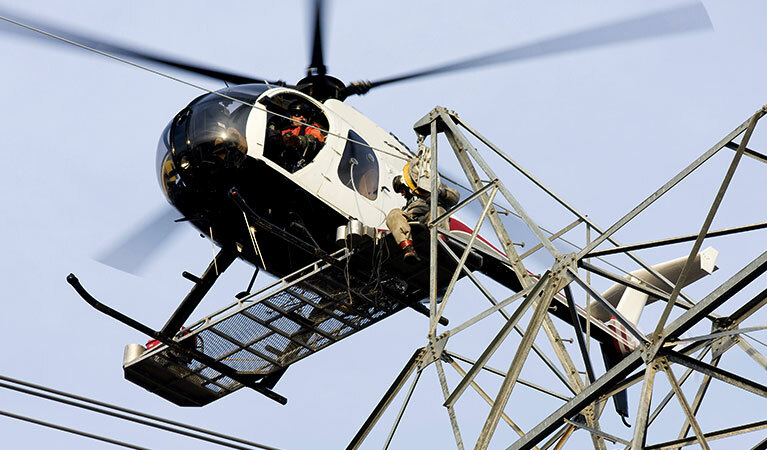 Helicopters can greatly assist with transmission line construction and repair projects in numerous ways. Transport equipment, personnel or vital repair parts quickly and hassle-free. Haul and place massive transmission line towers, or string miles of wires quickly and efficiently with helicopter assistance. Save time, money and headaches and help keep projects on time and on budget. FairLifts works with the best, most experienced operators in South Dakota. One call and we’ll get your next project off the ground. The ability to access remote locations and alleviate the need for heavy ground equipment and trucks in environmentally sensitive areas is a key benefit in any state, especially one with varied terrain like South Dakota. From the Black Hills in the southwest, to areas around the Missouri or Big Sioux rivers, to the plains and the Badlands, helicopters can be essential to any transmission construction project. In addition to easily tackling challenging terrain, helicopters can quickly mobilize to deliver personnel, parts, supplies, or equipment anywhere in the state quickly and efficiently. FairLifts agents can easily reserve South Dakota transmission line construction services as a result of an extensive network of experienced and professional operators. Booking through FairLifts delivers personal access to the agent's expertise in sourcing an ideal operator, aircraft, and hardware to get the project done according to your specifications. Read on to learn more. Transmission line construction and repair projects can require heavy lifting equipment to place towers, utility poles, haul heavy equipment to sites off the beaten path and more. Helicopters are often the best bet for these tough jobs. 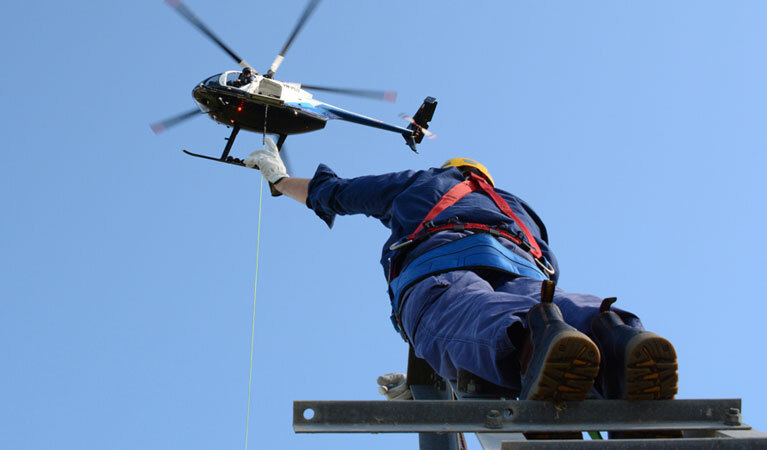 Helicopters with skilled, experienced pilots can do the job of a fleet of bucket trucks when it comes to stringing power wires. With the help of minimal ground crews, helicopters can easily string miles of wire and get power systems up and running quickly. Keeping up with utility poles is a full-time job. Regular replacements, repairs from storm damage or other accidents is constantly required. With the ability to both haul and place poles, helicopters can make quick work of a tough job. Power grid inspections can be fairly routine when the lines follow roads and crews have easy access. But that’s not always the case, which is why helicopter inspections are so valuable. Access any inspection area easily with helicopter support. Time is critical on any construction job, but the importance is magnified with transmission line projects. There’s no better way to save precious time than with aerial assistance. Get key personnel to any job site quickly with aerial assistance. Experts are standing by to get you a fast quote for your transmission line job in South Dakota! Questions, want pricing quotes, ready to reserve a skilled operator to help with a big job? Our expert customer service representatives are standing by 24/7 to assist you. Or, use the contact form and we’ll get back to you.